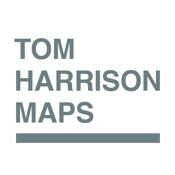 Tom Harrison Maps has produced high-quality California hiking trail maps for a number of years now. 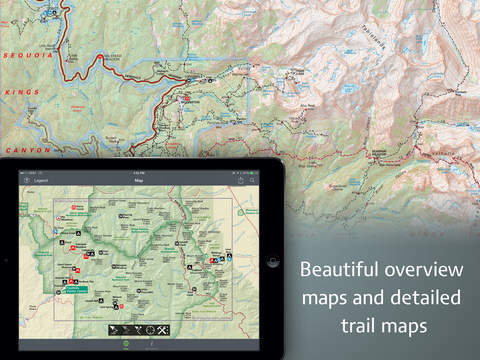 To reach a new wave of technologically savvy outdoor enthusiasts, Tom Harrison Maps teamed up with International Mapping to adapt their trail map series for the iPhone and iPad. 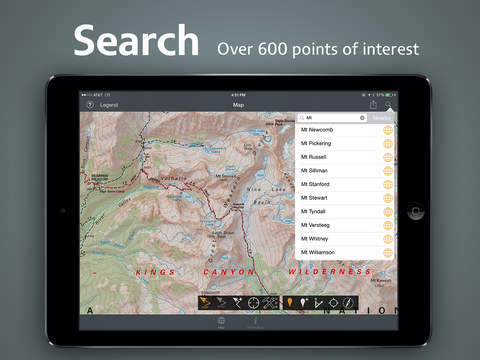 International Mapping has surrounded their maps with a variety of easy-to-use navigational tools and personal customization features to help make your outdoor experience more enjoyable and memorable. California’s Mt. Whitney High Country includes the highest summit in the contiguous United States with an elevation of 14,505 feet. Planning a hike in the Mt. Whitney High Country? 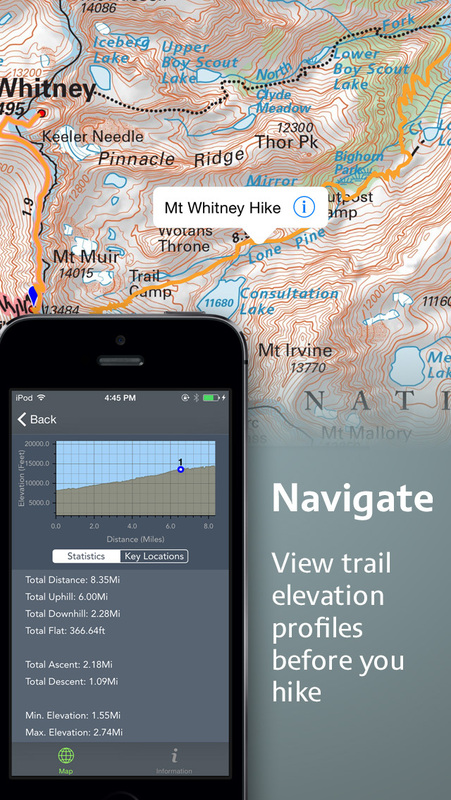 Looking for an app to help you navigate all of the trails? 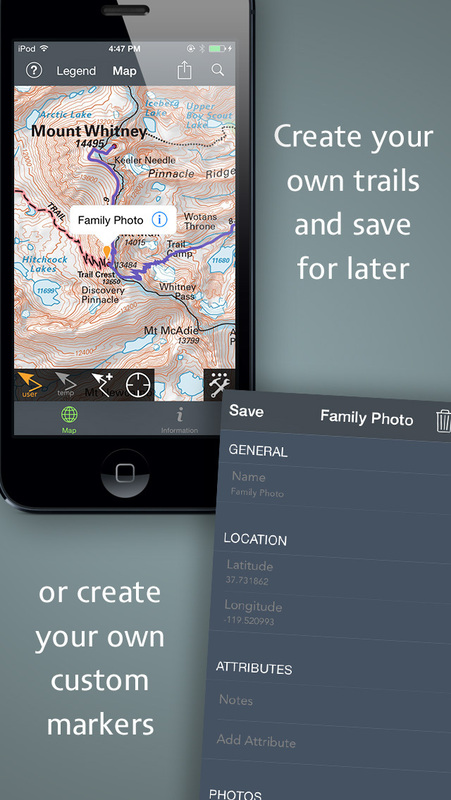 Worried you will not have Wi-Fi access while out on the trail? Then this is the app for you as we have included everything you will need in the download! + Full content and detail from Tom Harrison’s Mt. Whitney High Country map covering Pear Lake, Lodgepole, Mineral King, Mt. Whitney, Kern Canyon, Ash Mountain, Whitney Portal, Little Five Lakes, BearPaw Meadow, Triple Divide Peak, Cottonwood Lakes, and Horseshoe Meadow.